My youngest daughter is a busy stay-at-home mom who always finds time to get together with me on Fridays for lunch. I try to make meals that are tasty, quick and easy, and reduced in fat and calories. Here is what we enjoyed this week. My youngest daughter and I watch our food counts all the time – I do mine on DietPower software and she’s a member of Weight Watchers. We’re great pie-lovers and pie just wrecks any diet, so I thought about making a small portion without the temptation of cutting a larger slice or having anything left over. 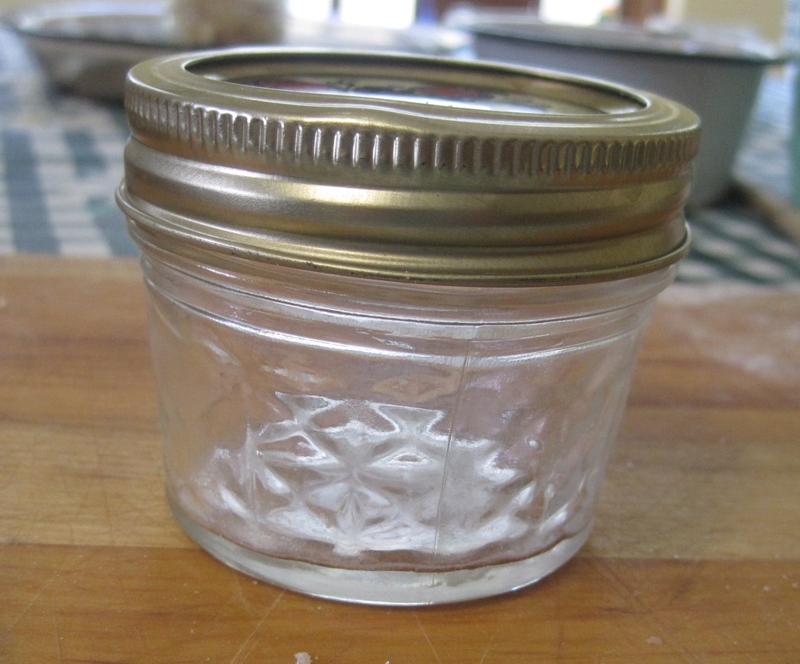 There is a lot of talk among food bloggers about using Mason jars and in my case, I didn’t want to store or mail the contents – I just wanted something small to bake the pie and it was nice having a lid for transporting to my daughter. Note that I’m using the small ½-cup/4 oz. 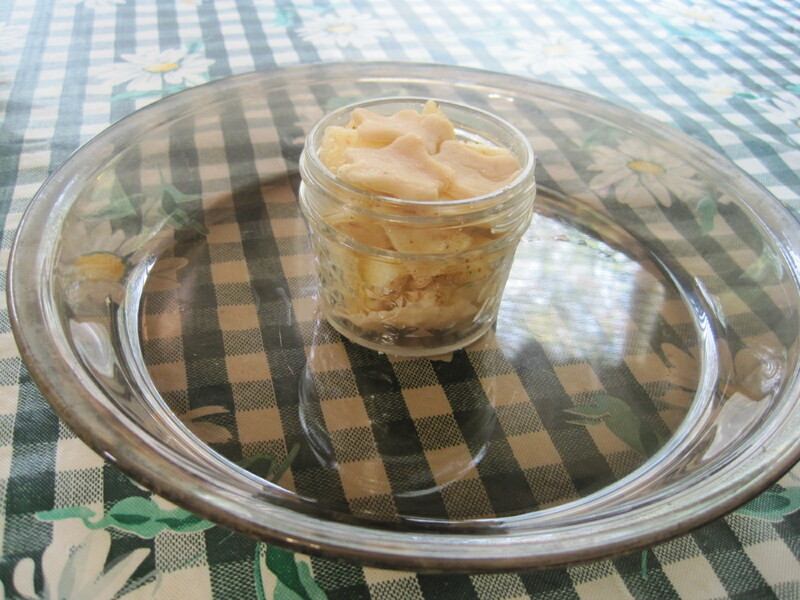 jars – usually reserved for samples or gifts. 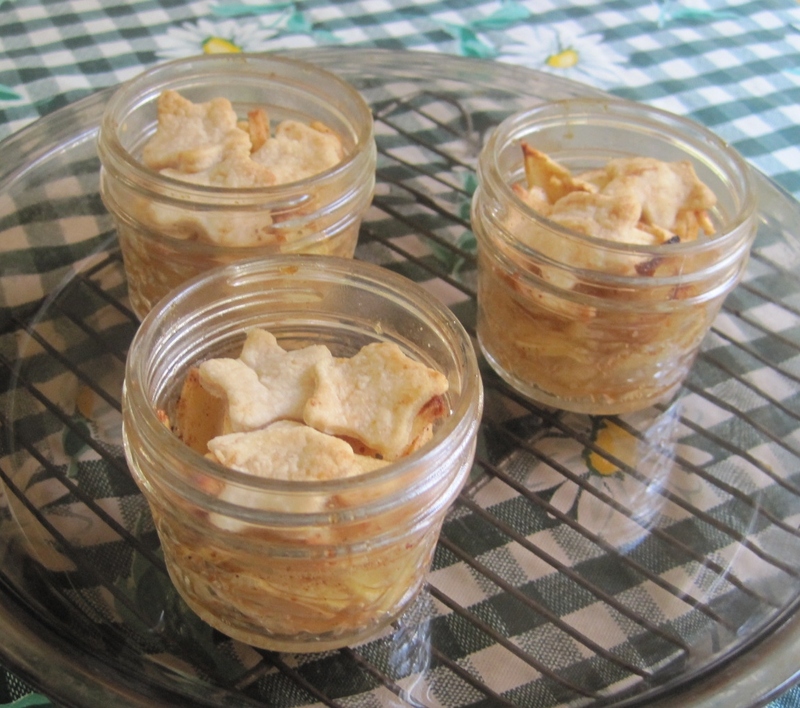 This little pie is just four or five bites of old-fashioned apple pie goodness – and absolute heaven for someone who has been dieting all week. *Use your favorite pastry – here’s mine. I keep small amounts in the freezer for quick desserts. 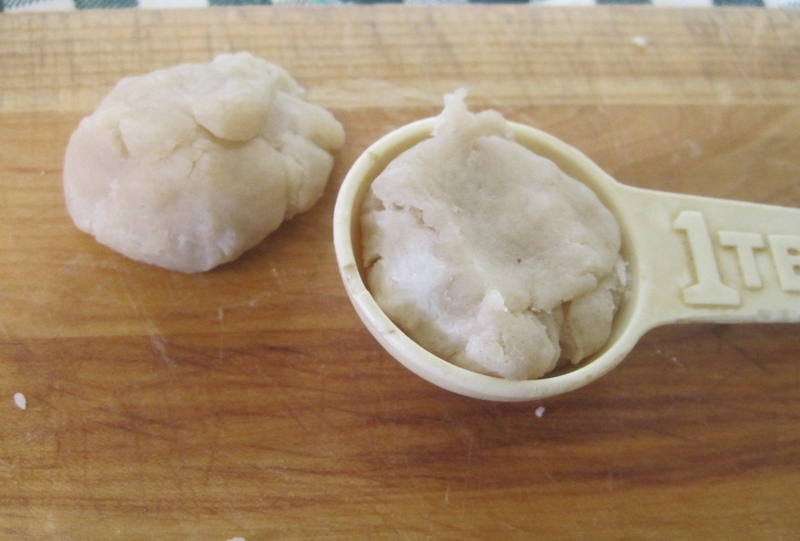 Roll pastry dough on a lightly floured board. 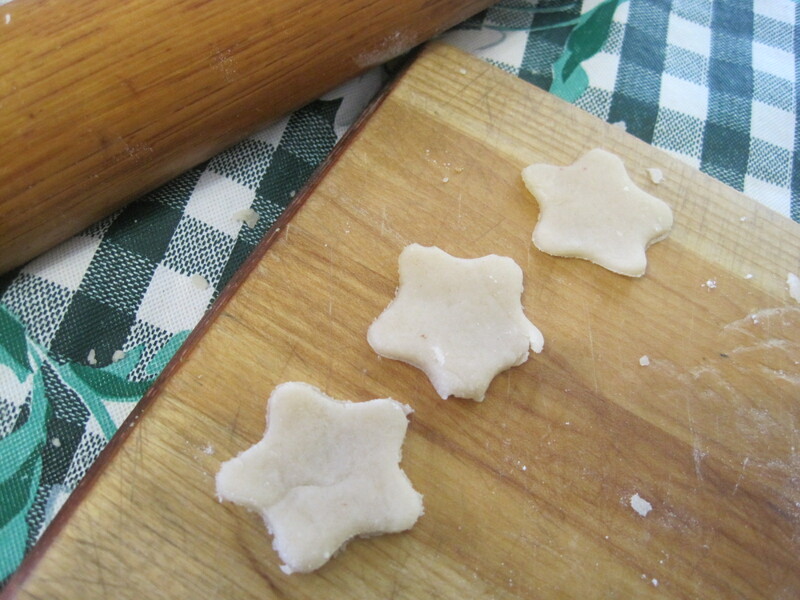 …and a small cookie cutter to make cut-outs for the top (a child’s cookie cutter works nicely for this). 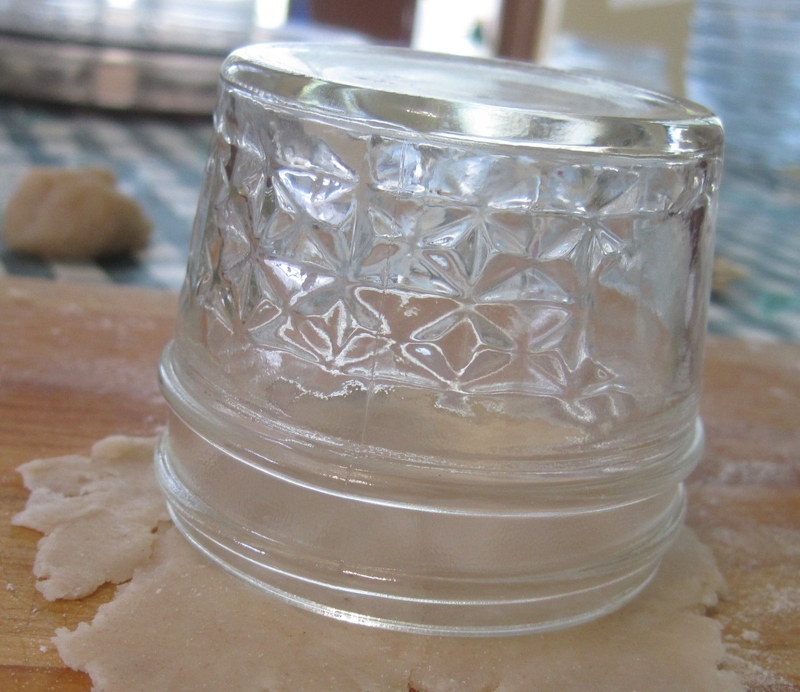 Place the round of pastry in the bottom of the Mason jar. 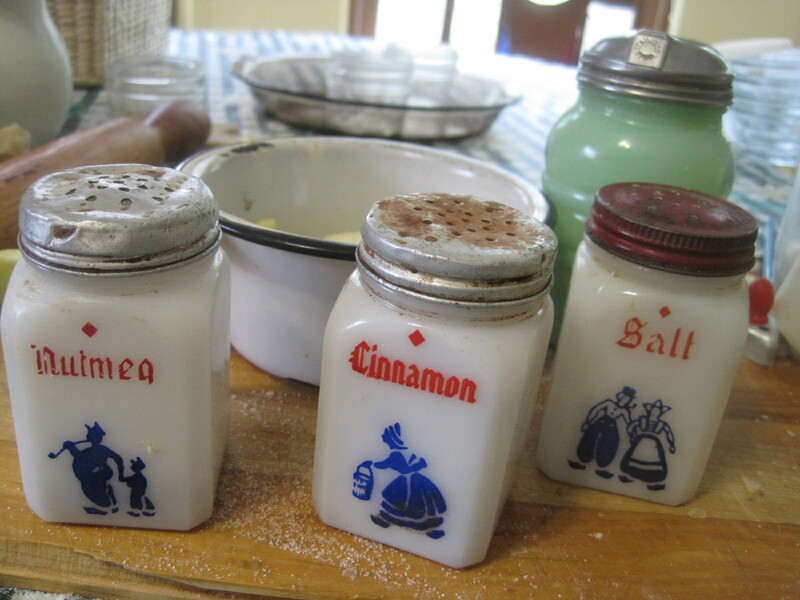 …sugar, flour, salt, cinnamon and nutmeg. 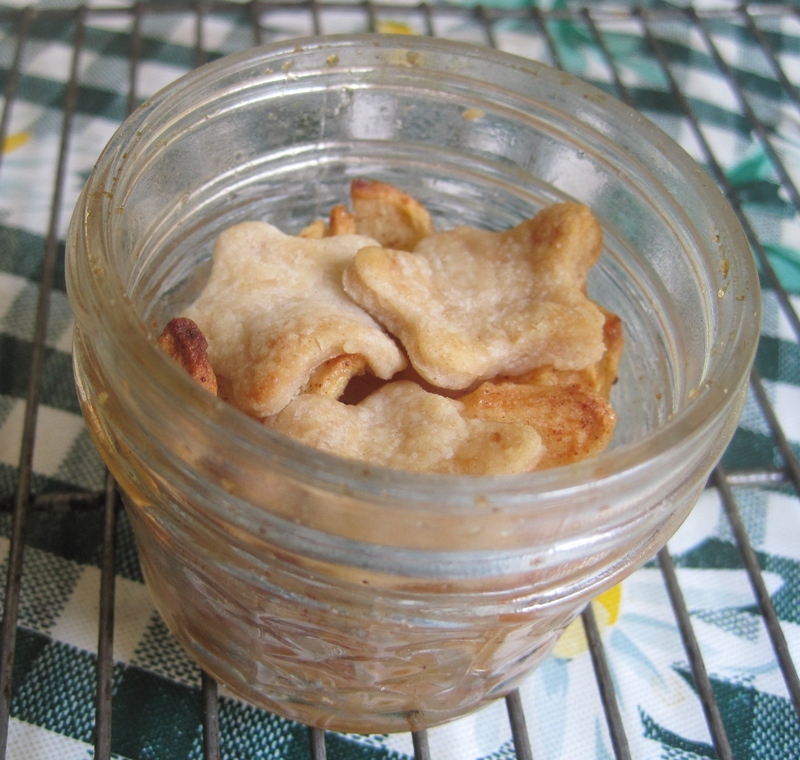 …and bake @ 375 degrees F for 35-40 minutes until apples are done and crust is golden brown. Remove to a rack to cool. The count is for one pie but I’ve included ingredients for 2, 3 and 4 pies in case there is more than one dieter to feed. I made three pies for supper for my two daughters and myself. The two dieters especially enjoyed them. For our entree, we had a favorite from the 1970s – Beef Stroganoff. These are precious (and look very delicious)! Lovely idea to beat those hard-to-resist leftover sweets. This is the perfect size, but I will have to fight off the urge to add a scoop of vanilla ice cream :)! Great idea!!!! How cute these are and they look every bit as good as a big piece. This is a great idea and would make great chrismas gifts as I like to make baked goodie baskets. Look wonderful but I’d have to eat all of them in one setting I think! I am doing this same thing but as a strawberry pie in a jam jar for our quilt group Christmas in July dinner. I will be posting the recipe after we celebrate on my other blog TheCranberryChronicle. This one also sounds just so yummy! Are these special jars since they have to go in the oven? Can I use jam jars for this? It just seems the perfect picnic food. 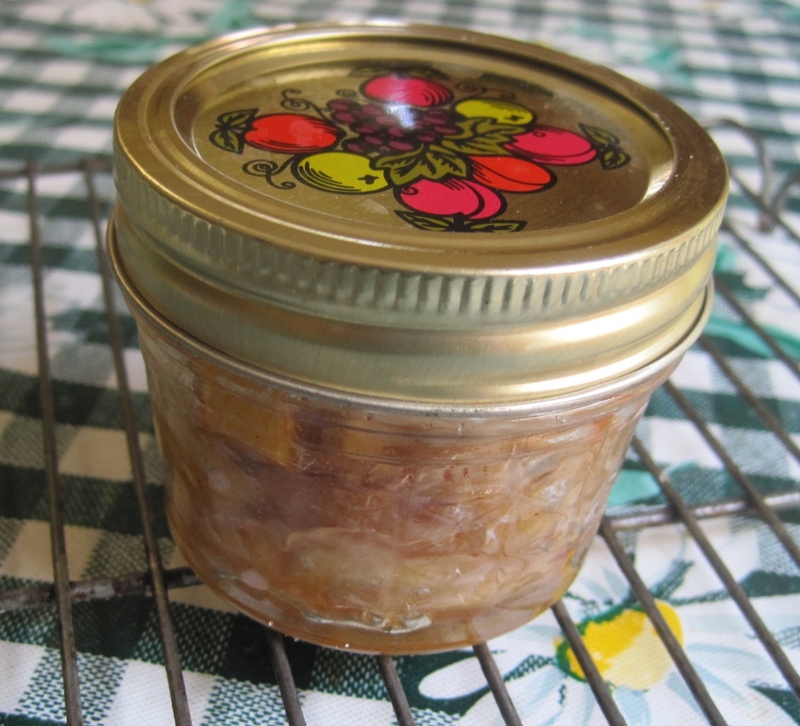 In the States we use the old Mason jars that are used for canning jams and jellies. 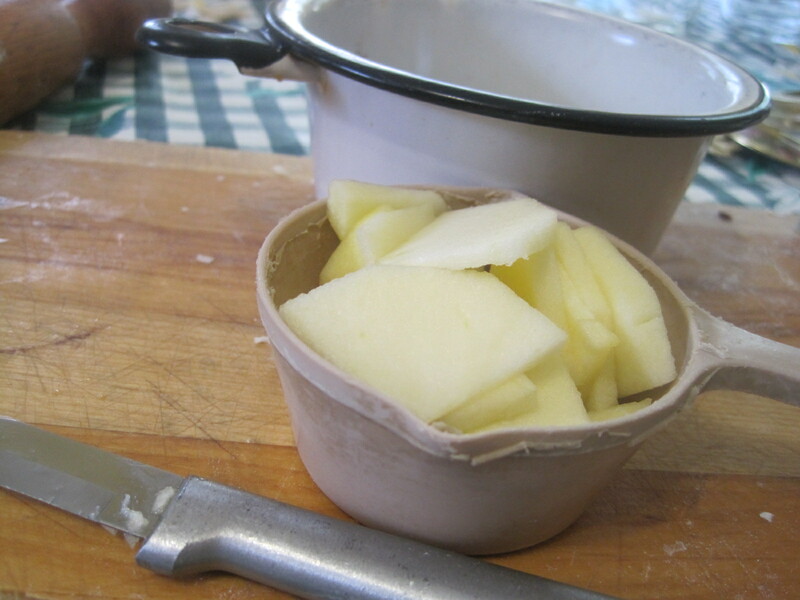 They can withstand the high heat needed for canning and hold up well in the oven. I’m not sure what your jam jars are. We’re advised not to use jars that are used for store-bought jam/jelly because they won’t do well in a hot oven. I didn’t realize Cranberry Chronicle was a blog of yours, although I should have known from the beautiful pictures. I’ve been reading the blog for a good while but I’m not sure I ever commented. I’ll be on the lookout for the strawberry pie in a jar.